Hand me downs, not just for kids? Let's talk hand me downs. I remember getting hand me downs as a kid and I loved going through all the clothes. Now with my girls I get to re-use clothes from my oldest again for my youngest which has been great at saving some money. But why do the kids get to be the only ones that get hand me downs? Recently I had a relative and a friend from church ask me if I wanted some clothes that they were getting rid of. I'm not sure why they thought of me, but I honestly was thrilled. Now if you're thinking "really, I'm not sure hand me downs as an adult would be all that fun?" First, let me walk you through my experience of shopping. When I go shopping for myself, I never feel like I can spend the time trying on the clothes, even when my husband helps watch the girls (he really is great), I feel rushed, I can hear them (the girls) getting bored and I'm trying to decide between 2 sizes that really have not a big difference, but with having to rush I can't tell what the difference is. I end up deciding not to waste the money for fear of not liking it when I get home, or because I just don't want to waste time trying on clothes anymore. I don't know about anyone else out there, but shopping with kids is just not an option for me. 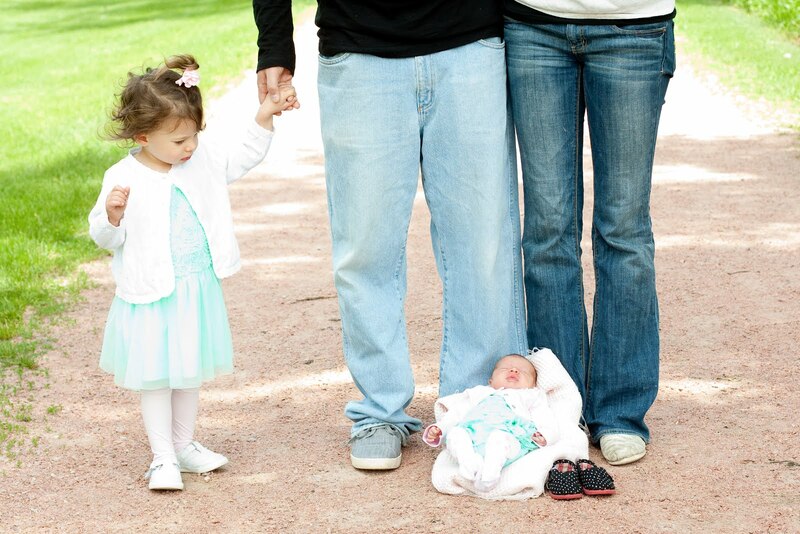 I've never been a great shopper and adding kids to the mix just doesn't help. 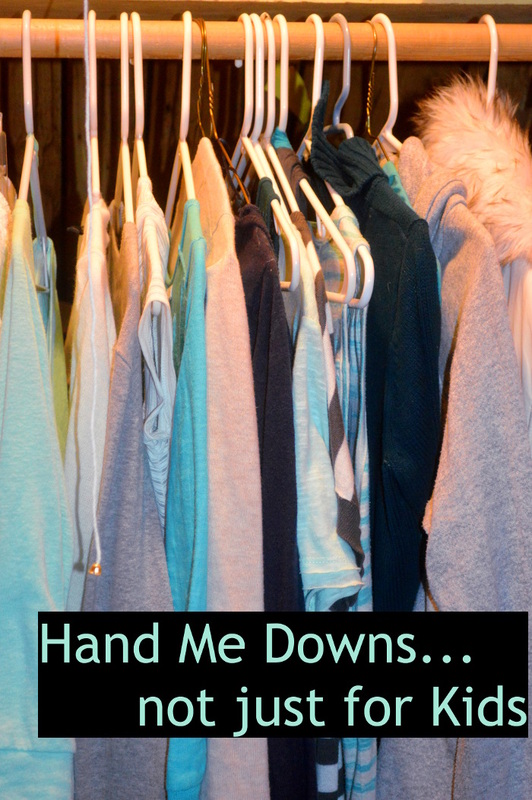 Now, let me walk you through my experience of hand me downs. Both times I received the clothes, I left the bag(s) in my bedroom. Here are a few reasons I love hand me downs as an adult & mom. 1st. I could try the clothes on at my leisure, there was no time limit. Every day or so when I was trying to decide on something to wear I would grab 1 or 2 pieces of clothing out of the bag(s) to try them on. I wasn't tied down to a certain time or day that I chose to go shopping. 2nd. I wasn't committed to something. If I liked it I wore it for the day to try it out, no big deal if I decided I didn't like it because I wasn't having to pay for it. If I was on the fence I'd put it in another spot and try it on another day. If I didn't like it at all, I put it in the give away pile. Again, I wasn't committed to it. 3rd. No pressure. No pressure to spend the money or not. No pressure to pick the right size, do I really want this one or do I want it to fit a little bigger? I don't have that choice, there's just the one size! Really I think for me this was the best part! Hand me downs, they are like shopping in your own closet without spending any money! So if next time you have some clothes to give away see if you can bless a friend first and hand them down or maybe pass them around, (sounds a little better as adults). Thanks again ladies you are a blessing to this Mamma, probably one of favorite shopping experiences in a while. And I'm not saying that to make people feel sorry for me, I could go shopping without the girls, but it's not really me. I feel like I'm still figuring out this new after babies body and it's just nice to not have to fit into the in clothes at a store trying to figure out what size I am now. And I really enjoy this way of "shopping" from my bedroom. Stay tuned for ways to make your wardrobe go farther.